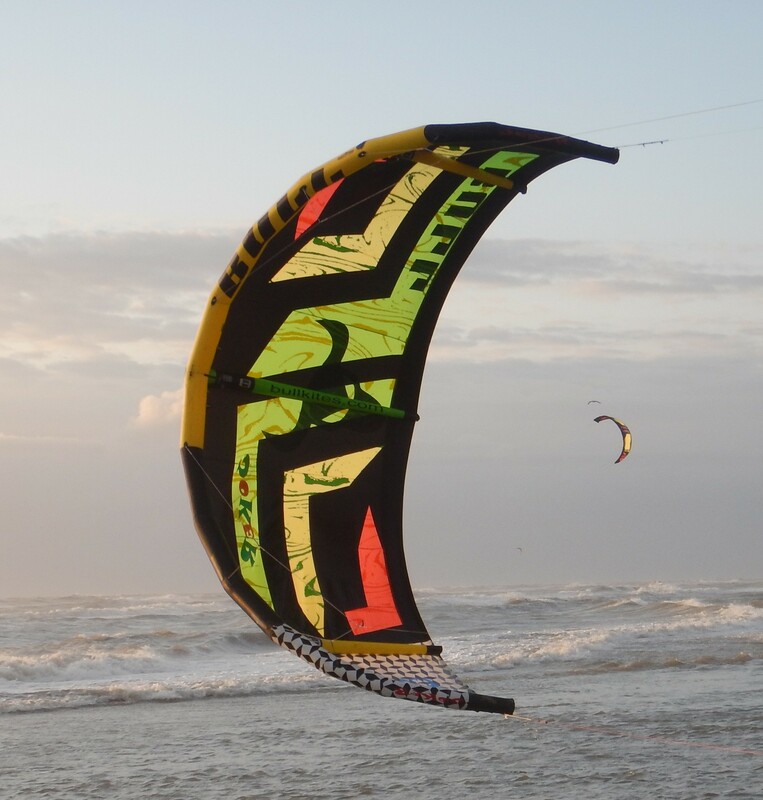 Bull Kites are designed right at one of the kiteboarding capitals of the world; in Tarifa (Spain), with several large R&D area’s, including a shop where you buy the kites directly from the enthusiastic and friendly designers. Bull just released it’s 2015 kite models. We had the chance to test the 2015 Joker 8m, the third version. 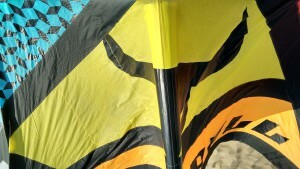 It turned out to be two kites in one and on top of that it is also a few hundred Euro’s less than most other brands. Bull has three lines of kites. The Zig Zag (do it all kite), the Shortcut (Freestyle) and the Joker. The Joker is described as dynamic and power oriented riding. Send your steering impulses and the animal awakes. We were not sure what that should mean, but we will try to describe what we came across. 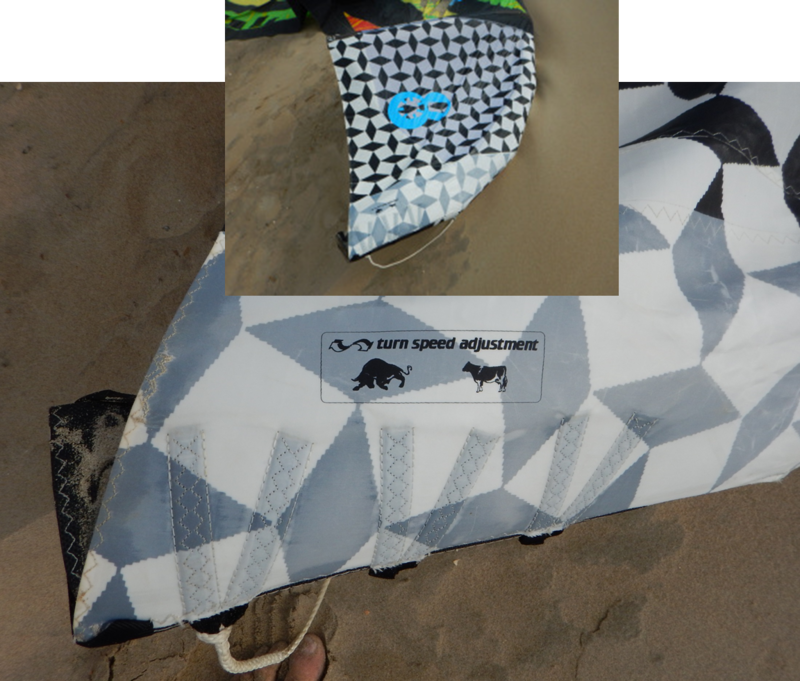 The Dutch distributors have seen our Bull test review concept and made us clear that a big part of the aim of the kite is “power wave”. The first tests with the Joker, with a twintip, were quite disappointing; the kite wasn’t reacting properly. It rather turned around it’s own axes when steering from left to right. We have felt a similar steering behaviour in our test with the Wainman Mr Green, which is clearly a wave oriented kite. Also inflating the Joker with 5 Psi, as stated on the kite, was way too little. For example every jump felt like the Joker folded and was pulled completely out of shape and didn’t get us air born. Big gusts of wind (we tried it even in 28knots of wind) shaked the kite around and also got the kite completely out of its shape. First we tried changing the steering lines from bull to cow (fast to slow), but that made things worse with now on top of it too much bar pressure. We decided to contact Bull and send them the feed back we had so far. 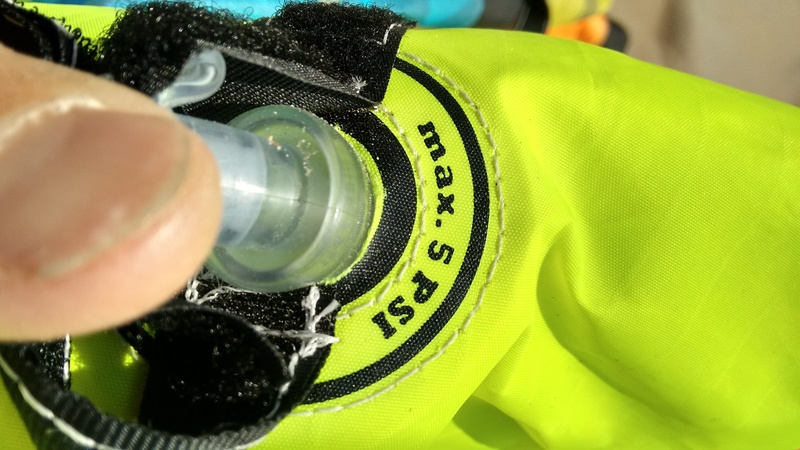 There were two things we needed to change; Pump the kite way harder (the 5 Psi maximum is a warranty thing just as so many other kite brands have) and reset the bridle and/or steering lines. 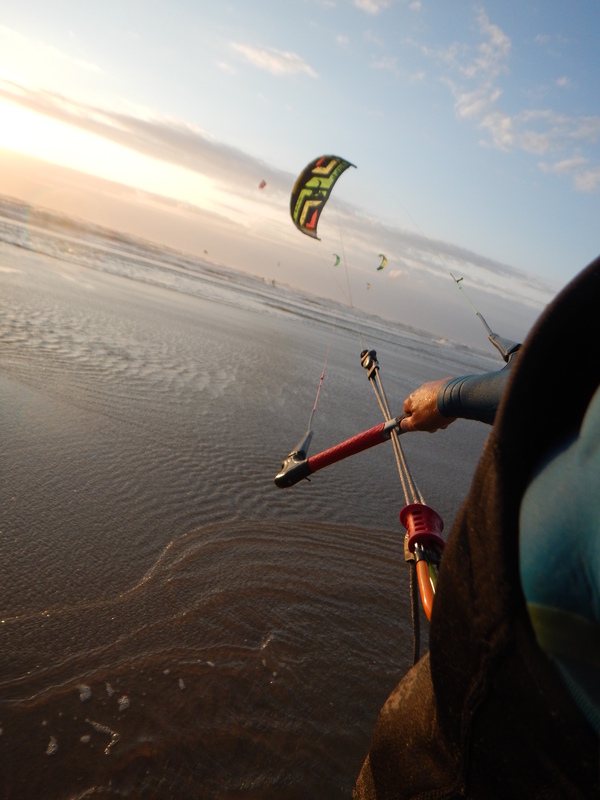 We were truly amazed with the effects, especially that of the combination of the bridle resetting (to the outer connection) and a kite with a lot more pressure (around 8psi): all of a sudden the kite turned from a nuking pivoting kite to a fun, light, predictable and responsive kite. Probably due to the bigger leading edge it works amazing in relatively low winds (roughly 20-24 knots) for a 8m. It has easy and predictable pop while jumping and is has a respectable hang time. Resetting the bridles to the inner position was a good match with (strapless) wave riding. It’s pivoting character comes back, which is perfect for cutting tight turns up and down the wave. Although we couldn’t compare it directly with more wave oriented kites, which would have been a more fair test, we can still say the kite is pretty well balanced and won’t fall out of the sky quickly without pressure on the line. The turns on the wave with the 8m Joker needs a well amount of determination to get it up and down the line. Probably due to the large leading edge and the inner bridle setting it is a kite which needs some getting used to. We also learned from this test that all options on the kites should be tested. Something we didn’t do with one of the previous reviews of the Wainman Mr. Green. In fact we received a comment of one of the Wainman distributors on it that we should have tried to test several settings (which was too late since we didn’t have the kite any more). As we now know the setting of the bridles can change the kite aspects drastically. 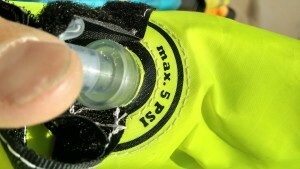 In general the further the bridle is away from the tip the better it is for wave riding. More to the tip is better for (a direct feeling) riding with a twintip. Not everything is perfect though. 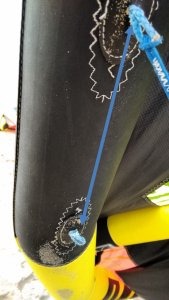 In overpowered situations (25+ knots) and with unhooked powerful tricks the kite starts to feel like it is missing some support (for example from some battens or some more struts). In those (over)powered situation the kite starts to bend and reshape rather than giving a direct response. We also did not like the amount of work that was needed to reset the bridles. A simple knot (instead of a looped rope which requires to untangle three pieces of the bridle) would have made live a whole lot easier when resetting the bridles. The Joker has 3 struts, a traditional (small) inflate with one-pump which should be (only) pumped at a maximum 5 PSI. The leading edge is big, much bigger than most other 8m kites and has bit of a old fashion feeling. The kite has bridles without pulleys or any battens and the steering lines can be set in three different positions at the tip. The bridles can be set at two positions. The Bull kites are quite recognizable with a big horns bull hugely displayed at the middle strut. As far as we could judge their are no colour options to choose from; each model has is own fixed colours. The Power bar is similar for all models of Bull kites. It comes with four 25 meter (on request the length can be altered) lines and has a neat and unique swiffel system which, -like most other swiffels- doesn’t work properly on it’s own. It has a stopper ball which can be moved on the fly. The safety system is similar to most other bigger brands and won’t give any problems. The depower line cannot be twisted which would have helped to untangle the front lines. Suicide mode (for unhooking) should be done with a large leash hook (standard leash like those from F-one or North won’t fit), like the leash from Gaastra and should be connected both to the chicken loop and the safety system. The depower system comes underneath the bar next to the chicken loop. It handles a bit better than for example the Naish version, but it isn’t our favourite since it takes some effort to pull it to the right amount of depower.